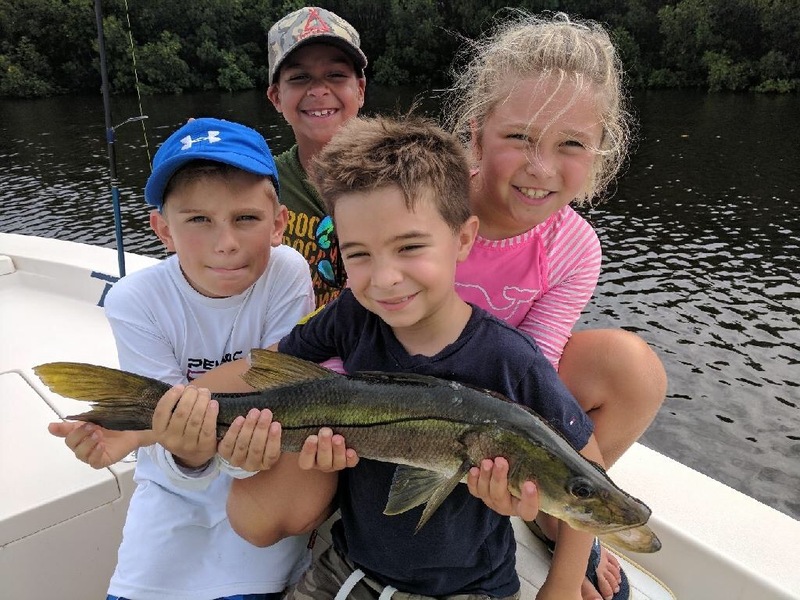 Three-day fishing camp (9am – 3pm) – Three days of guided inshore fishing catching snook, redfish, trout, sharks and more! Three to four campers per boat will fish with professional guides inside Tampa Bay. Also includes lessons in marine biology, boating safety, knot tying, target casting and more. Ages 8 to 15.